This entry was posted in ICT4D World Wide Semantic Web on May 22, 2015 by Victor de Boer. Today, the second international VU symposium in ICT for Development was held. As last year, the workshop was a great success, with an international host of speakers and a variety of attendees (around 80 people joined). This year’s symposium we looked at the opportunities and challenges for “Data for Development” from many angles. After these longer presentations, a series of duo-presentations were held. In the first the concept of upscaling and downscaling (big) data sharing solutions was discussed (by Hans Akkermans and Christophe Gueret). 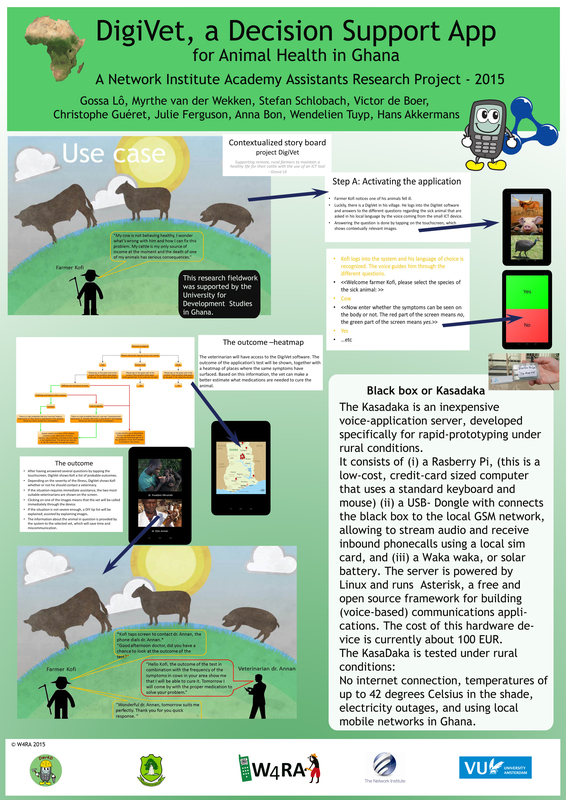 Christophe also presented the “Kasadaka” rapid prototyping platform. In the second duo-presentation we heard from two Amsterdam-based organizations on the use of Open Data for aid transparency (Rolf Kleef from Open for Change) and how to connect data from different mobile projects (Karl Lundfall for Text to Change). The final duo-presentation featured Cheah Waishiang on how to connect to local communities using ICT in Malaysia and Chris van Aart from 2Coolmonkeys who described the approach of the App-developer. Myrthe van der Wekken and Gossa Lo presented their research on Knowledge Sharing for the Rural Poor through a quick pitch and two very nice posters (see also their reports 1 and 2 ). 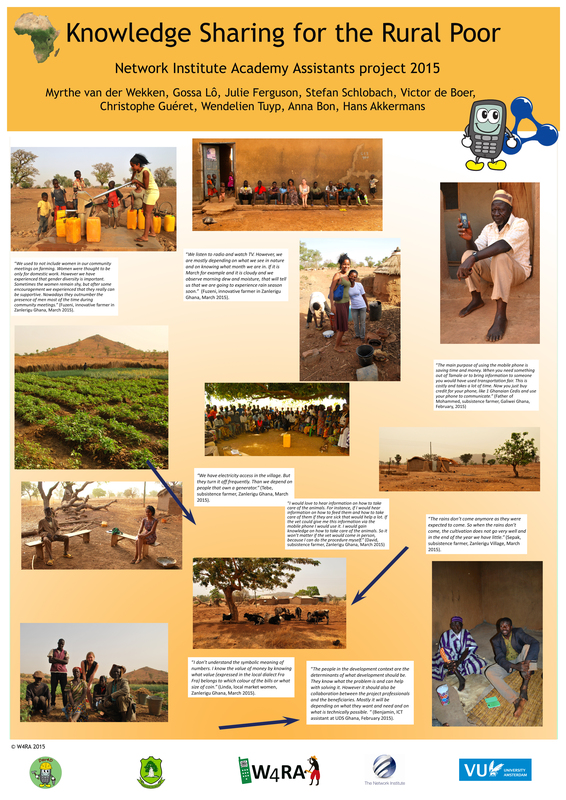 During the coffee brake, they presented their posters on DigiVet (Gossa) and “Knowledge Sharing for the Rural Poor” (Myrthe). All in all, the symposium showed that in every stage of the data value chain, there is progress being made in the development context. However, there are enormous challenges to be overcome at each stage as well. Enough to work on for a next installment of this yearly symposium series. You can watch the entire symposium through the embedded video below (3 hrs). Below the video you can see the list of speakers and the different timestamps in the video when their talk starts. All slides of the symposium area available as PDF to be downloaded here.